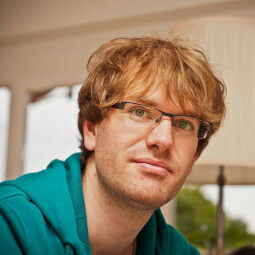 I am a neuroscientist with an interest in the temporal and spatial dynamics during naturalistic visual selection. I use statistical models to learn about the integration of motion to guide continuous behavior despite strongly correlated visual parameters. Other interests include perception and neural responses during saccades and pursuit eye movements. [...] a scientist must also be absolutely like a child. If he sees a thing, he must say that he sees it, whether it was what he thought he was going to see or not. See first, think later, then test. My business is to teach my aspirations to conform themselves to fact, not to try and make facts harmonize with my aspirations. "Spatio-temporal representations during eye movements and their neuronal correlates"
"Spatio-temporal representations during eye movements"
Springschool "fMRI in psychological research"
Cormack, L. K., Czuba, T. B. , Knöll, J., and Huk A.C. (2017). Knöll, J., Morrone, M. C., & Bremmer, F. (2013). Königs, K., Knöll, J., & Bremmer, F. (2007). Beauty is in the eye of the beholder; literally. 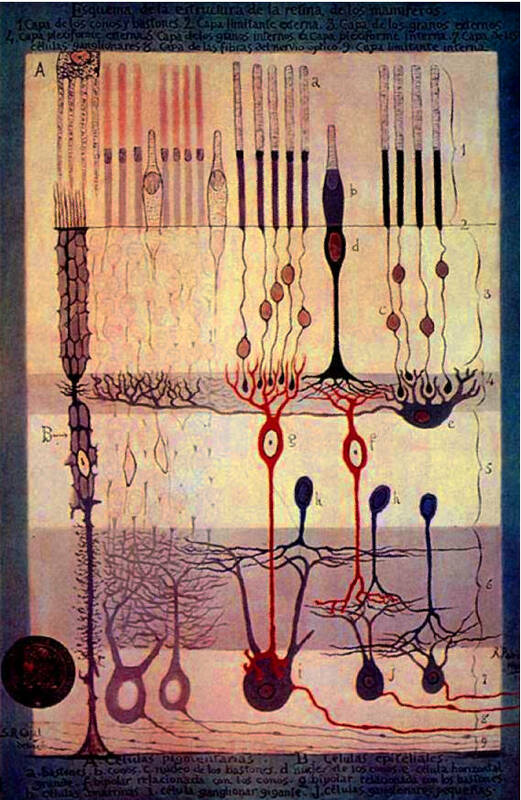 One example of the eye's, or more specifically the retina's, beauty and its artistic value is the scientific drawing by Santiago Ramón y Cajal in 1900 shown above. The retina is neatly organized, with distinct cell types organized in specific layers and connecting to specific (sub-)layers of the retina. It is here where a lot of important (pre-)processing occurs by separating different aspect of the visual scene utilizing different subtypes of the cells and diverse connections between them. This allows our brain to efficiently process the visual input. The majority of the retina's output neurons (retinal ganglion cells) project into the LGN. 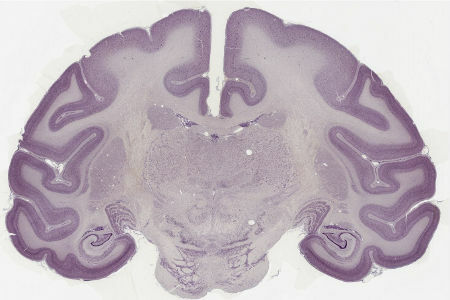 Take a look at this coronal section of a macaque brain taken from brainmaps.org. If you look closely, you'll notice two regions where the orderly structure of the brain sticks out. 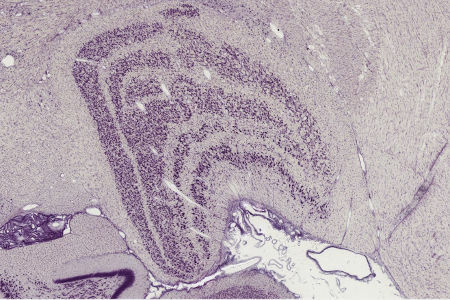 Below is an enlarged version of this beautiful part of the brain, the LGN. It is here, that the layered structure that was already present in the retina can be seen with such ease. But it is a different kind of layering. While the layers in the retina formed different stages of computing, the layers in the LGN receive input from segregated types of the retinal ganglion cells, with separate layers for input from both eyes. This segregation of different input can even be seen in that image. You might have noticed that the two lowermost layers look different compared to the others. It's because the cell bodies in these two layers are larger.